How Long Is Heating Oil Good For? Heating oil, or No. 2 oil as it is often called, continues to be a popular option for homeowners looking to heat their homes. Consider these statistics from the U.S. Energy Information Administration (EIA): About six million homes currently use fuel oil for their heating needs. In 2015, nearly 3.5 billion gallons of heating oil was sold to residential consumers, 84% of which was in the Northeast. No matter how you look at it, that’s a lot of heating oil. But for those homeowners who do opt for this affordable and convenient heating option, some questions remain. Unlike gas, heating oil is bought in large amounts occasionally throughout the year and then stored until it is used up. But does heating oil expire? How long is it good for — if you don’t use up all of the heating oil during a winter season, will it still be good six months later when you turn the heat on again? These are all valid questions, and we are here to give you the basics on the shelf life of fuel oil. Additionally, we'll discuss some of the general concerns surrounding proper storage of heating oil as well as proper disposal of unwanted fuel. You can count on us and our expertise. As one of the Northeast’s leading providers of affordable and convenient fuel oil, we know a thing or two about how long fuel oil is good for! What Is No. 2 Heating Oil Anyway? Many homeowners buy their homes already equipped with heating oil systems. As long as the heat is working and the oil deliveries are regular, they may never take the time to understand what No. 2 oil is in the first place. No. 2 heating oil is the most common variety of fuel oil on the market, and as a chemical, it is almost identical to the diesel that is burned in some cars. Motor diesel contains a few additives that improve motor performance — especially in cold weather — but other than that, the two products are essentially the same. Along with other products like gasoline, jet fuel, lubricating oil and kerosene, No. 2 heating oil is just one of many products that are refined from crude oil. What Makes Heating Oil Go Bad? The most common cause of oil degradation is bacterial actions that break down the product. These bacteria are found in all oil, so there is little you can do to prevent bacterial actions, although you can slow down the process. Water is another common substance that will cause heating oil to go bad more quickly. Pure water is bad enough, as it impedes combustibility. However, there are other chemicals and minerals in most water, and these substances will remain in your tank even if the water is removed. They can wreak havoc on your heating oil. Additionally, rust, sludge and other contaminants present in your storage tank can also contribute to oil breakdown. 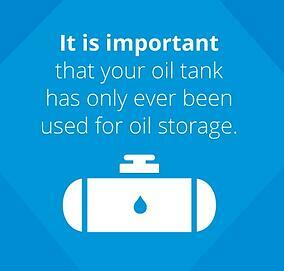 That’s why it’s so important to have a clean and well-maintained storage tank. While you can’t fully prevent the breakdown of heating oil, well-kept oil will last far longer than poorly stored fuel. What Is the Typical Shelf Life of Heating Oil? The simple answer is 18 to 24 months. So if you are concerned about not using up your fuel during a single heating season, worry not. It is designed to be stored over the summer and will still be effective when you start heating again toward the end of the year. 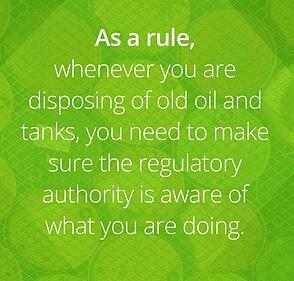 A reputable heating oil supplier will include certain additives when they fill up your oil tank. These are included to stabilize the heating oil, so it’s as combustible a year later as it is when the tank is filled. It is crucial to introduce additives at the moment the oil is pumped into your tank, though. Adding chemicals later will not extend the life of your fuel oil, nor do products exist that will rejuvenate your oil. Once your oil begins to break down, you cannot restore it. Proper and standard additives can get you to about the two-year shelf life mark. There are certain products that advertise themselves as capable of extending your shelf life even further, but test results concerning these products have been mixed. At most, these extra additives might extend the shelf life by a couple of months, but seeing as those months are likely to pass over the summer, it’s likely they won’t save you any money in the long run. Besides, if you are a regular heating oil customer, it is unlikely you will be able to stretch heating oil past two years, assuming that your tank is properly sized for your home. 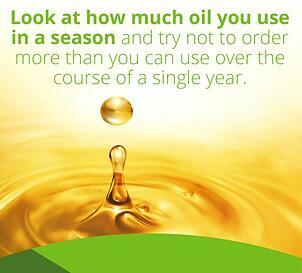 Even the most conservation-minded customer will usually use enough heating oil to warrant a refill every other year! As we noted above, the most common cause of degradation can’t be avoided. Bacteria are present in your heating oil when it is delivered, and they will start to degrade your oil as soon as you pump it into your tank. The state of your tank is the primary cause of every other oil shelf life inhibitor. That means you want to do everything you can to ensure bacteria are the only issue affecting your oil. It is important that your oil tank has only ever been used for oil storage. Some homeowners will try to save money when replacing a storage tank by buying a used one. If you are confident the tank was used properly, that may be a wise cost-saving measure. However, if the used tank ever housed things like paint, water, motor oil or gasoline, it is impossible to properly restore the tank. A contaminated tank will drastically reduce the shelf life of your heating oil. Furthermore, you need to have your oil tank periodically inspected. A corroded or leaky oil tank will pose some problems. It will degrade your oil faster, as outside contaminants can penetrate your oil. But a leaky tank can also be a health and environmental hazard, especially if your tank is underground. If you don’t want your heating oil to go bad, make sure you are ordering the correct amount for your home and lifestyle. While there are minimums to the amount of oil a company will deliver, if you consistently order too much, you are much more likely to have oil on hand that is nearing its shelf life. If you have large amounts of heating oil left over, you will also need to schedule an expensive service call to get it removed. Even if you were able to get a deal on heating oil by buying a lot of it, the amount saved would not get close to balancing the cost of having the excess oil removed. The best advice here is to look at how much you use in a season and try not to order more than you can use over the course of a single year. Can You Spot a Damaged Oil Tank Yourself? There are certainly some things you can do yourself to make sure your oil tank is in good shape. Obviously, if you can observe leaking oil, either under the tank or at pipe joints, you have a serious problem and need to call a professional immediately. Further, if you can observe rust perforations or smell a strong oil odor, you need to get your tank repaired right away. However, just because you see some external rust doesn’t mean you have a serious problem on your hands. External rust that has not perforated the tank itself does not necessarily mean there is corresponding internal rust that is causing oil degradation — but sometimes, it’s hard to be certain. When you hire a professional, they can confirm whether or not there is internal rust. They can also identify other potential problems you may not be able to see. For example, if you have a buried oil tank, certain types of corrosive soil could spell danger in the future. A professional will have the testing equipment needed to tell if the soil is corrosive or not, and they can also spot other warning signs, like piping that is too narrow. Can Odors or Sounds Indicate Spoiled Oil? When it comes to heating fuel, there are normal sounds and smells and others that are a cause for concern. For example, when your system is injecting oil into your furnace, there is a soft roar sound. Similarly, there are fans involved in moving hot air in your furnace. These will be audible as well. If instead, you hear a loud bang, that is a cause for concern. It means oil is collecting in the ignition chamber, and when it finally ignites, it is causing a larger combustion event than the system is designed to handle. If you hear a bang, you need to call a service professional immediately, as this could be a sign that your furnace has become unsafe. When it comes to the smell of heating oil, those who have used it for a long time will recognize that some oil odors are present, especially when the system is first started. However, if you smell a new odor or a strong odor, or if that odor is accompanied by visible smoke or soot, this is a sign that you need to call a professional immediately. Note that these problems can occur even if your heating oil is brand new. However, the lack of efficiency associated with old oil can exacerbate these problems. What Happens If You Burn Old Oil? The truth is, old oil can still be used. It’s just less combustible. In other words, it won’t produce as much heat as new oil. While it is inefficient, it doesn’t mean you can’t use it. So if you find you have a small amount of old heating oil, don’t worry too much. You won’t get as much heat out of it, but it can still get used up. However, if your oil does get far past its expiration date, you may run into problems. Typically, furnaces need to generate a certain amount of heat to function properly. If the oil is so old that your furnace can’t even meet the minimum requirement for heat, you are likely to see a furnace shut off, meaning you will need to make a service call. The bottom line is this: You don’t want to plan on going past the 18- to 24-month mark for your heating oil — but if you have a little bit left over, there’s no need to panic. What Can You Do With Old Oil? Oil companies that remove excess heating oil will do what they can to recycle it. If it is a small amount that can still be burned, it may simply be transported to be used elsewhere. However, if it needs to be reprocessed, then it will need to head somewhere else. That’s why you need to be certain of when your oil was first delivered and make sure the oil company knows, so they can determine how best to get rid of it. If re-refining your used oil is the only option, it will only be cost-effective if you have a large quantity of it. Re-refining a few gallons won’t be worth the price of transportation. What If You’re No Longer Using Heating Oil? Sometimes people change their preferred heating method. If you are switching away from heating oil, it is important to take care of your leftover heating oil properly. If the oil is still good, you want to get it back to your oil company as soon as you can, so it doesn’t go unused. However, even if has exceeded its shelf life, you can end up causing a lot of problems by just leaving leftover oil sitting in a tank in your basement. Over time, that tank is going to corrode, and it will be more prone to leaks or some other heating oil accident. Furthermore, if you are reselling the house, a half-full oil tank is going to be a concern for potential buyers. In fact, as the price of natural gas has gotten lower, many heating oil users have considered making the switch. However, considering the cost of properly disposing of both excess oil and the no-longer-needed heating oil tank combined with the high costs of conversion, know it can be a very long time before you see any real savings by switching to natural gas. Are There Legal Concerns Surrounding Disposing of Oil? Especially in rural communities, where older, buried heating oil tanks are more common, the effects of tank degradation have become a big concern. As homes change hands, sometimes abandoned underground tanks are forgotten. Some aren’t even discovered again until there is a very serious environmental or health concern related to leaking oil. That’s why today, there are very strict codes concerning how you take care of and dispose of old oil and storage tanks. These codes and regulations vary depending on the local ordinances where you live, so we can’t discuss legal specifics here. However, know that almost all communities have some code surrounding heating oil and oil tanks. It is important to become familiar with these codes in your area, especially if you are looking to either sell your home or find yourself needing to dispose of oil. As a rule, whenever you are disposing of old oil and tanks, you need to make sure the regulatory authority is aware of what you are doing. Often, you will also be responsible for paying for an inspection of your tank to make sure you don’t need a more careful disposal process due to the presence of leaks or other potential hazards. If you are disposing of an underground tank, it may be possible to leave it in the ground, but only if it is thoroughly cleaned and completely liquid-free. That being said, the safest way to ensure your property is contaminant free is to remove both the oil and the tank. Furthermore, if you are buying a home or property, it’s important to partner with a home inspector who understands the concerns surrounding oil tanks. An experienced inspector will know what to look for and be able to identify the location of a forgotten, buried oil tank. The person selling the property might not even be aware that it’s there — and if you end up buying the property without knowing about the tank and it causes an issue in the future, you will be the one responsible for it. Where Can You Turn to for Additional Heating Oil Concerns? In the end, the best way to make sure you have the right amount of heating oil or to dispose of old heating oil properly is to partner with a reputable heating oil company. Luckily, if you live in Massachusetts, New Hampshire, Maine, Rhode Island, Connecticut, New York, Pennsylvania, New Jersey, Maryland or Delaware — the region with the most heating oil use — you have a partner you can trust in Smart Touch Energy. We set out a decade ago to revolutionize the home oil buying and delivery process, making it easier for consumers to save money while making good decisions about their home oil purchases. Since then, we have added to our reputation by becoming the premier HVAC service team in the region. Whether you need to address your heating oil system or you are looking for a tune-up for your air conditioning, our service professionals are here to answer your questions and help you get your HVAC system into peak condition. One of the best ways to make sure your heating oil meets its maximum shelf life is to ensure your system is cleaned and inspected. Our oil burner cleaning service does just that. It can help you keep your oil fresh, which also extends the life of your oil burning system and saves you money in the long run. Plus, a clean oil-burning system is better for the environment and does a better job of keeping your home warm. There’s no need to worry if you suddenly find you are out of oil and need a delivery immediately, either. You can count on us to get you the oil you need. Our emergency delivery service can typically get an oil refill to you in 24 hours or less. So whether you have further questions about your heating oil system, are moving into a new home with heating oil or are ready to partner with a reputable company on preventative maintenance, contact us today and find out just how convenient and cost-effective partnering with Smart Touch Energy can be.